Photographs taken in and around this beautiful historic town. Includes images from the Shakespeare 400 years celebrations in 2016. Accommodation fills up very quickly during high season and can be very expensive, bear that in mind if you're planning a trip. 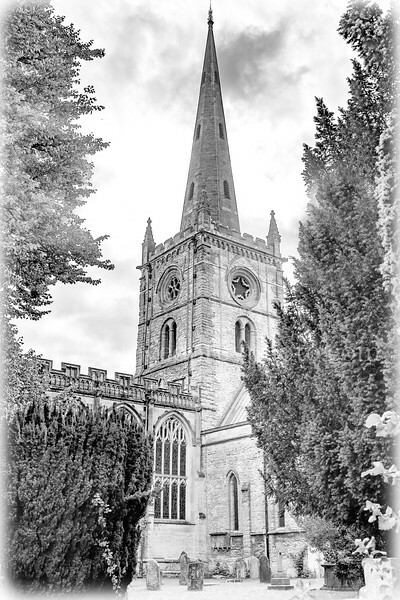 Black & white faded image of the famous church and William Shakespeare's final resting place. stratford upon avonholy trinity churchblack whitevintagefadedfamousshakespearegrave.